Learning that millions of people are mouth breathers and snore like myself led to my need to create an alternate chinstrap. 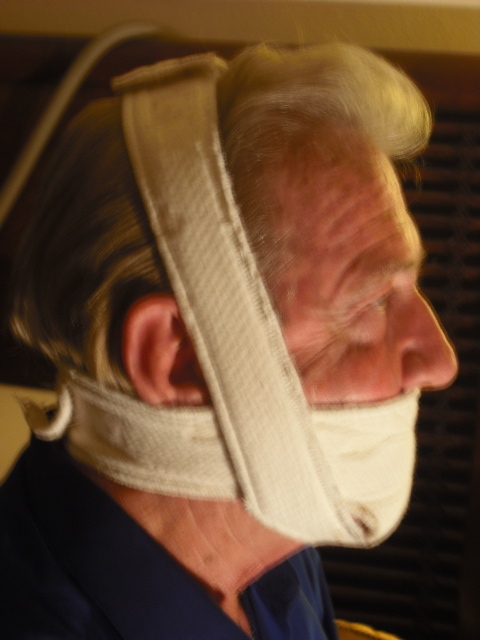 Unlike the mouth being completely covered with the strap for CPAP users, I modified the strap to leave an opening around the mouth to prevent any claustrophobic feelings and allows the freedom to breathe through the mouth if desired. 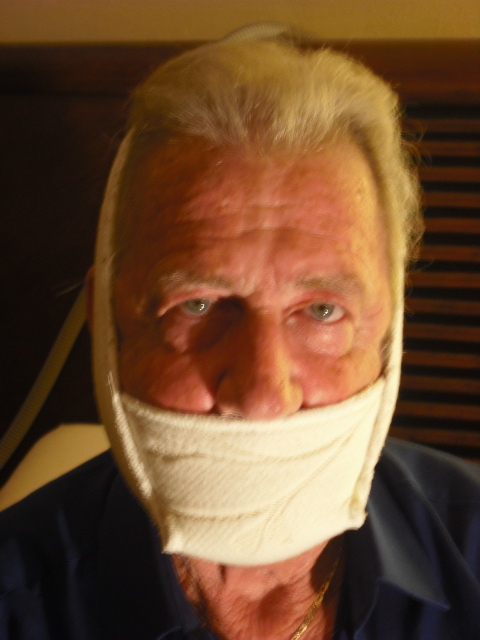 I appeared as Hannibal Lecter when viewing myself in a mirror, but the results werejust as rewarding as the one for sleep apnea. Over one hundred users to the present has reported a 100% reduction in snoring, longer sleep hours without interruption, no dry mouth in the morning, higher energy levels, and happy partners whom they share the bed with. 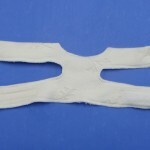 As previously stated, this chinstrap is American-made, patented, and unique as no other accessory is similar in design. Although this chinstrap conforms well to the face/chin, donot expect an immediate sensation of comfort. Donning a chinstrap or any apparatus on the face is not natural and involves several days to acclimate. However, the end result is one that you are seeking and the “getting use to period” will resolve in a matter of days. Research has shown the importance of falling into a deep (REM) sleep reduces the risk of heart failure, strokes, chronic fatigue, memory problems, and other major health issues. Sleep apnea and snoring will hinder the body’s ability to fall into a deep sleep or get the proper, healthy REM sleep needed. In additon, the chinstrap will essentially re-train muscles to maintain proper jaw alignment and maintain the mouth closed. Donning one of my chinstraps has been successful in achieving this REM sleep state via testimonial feedback from hundreds of users up to the present time. On a last note, I also have a memory foam pillow (12” x 15”) available for purchase if you do not already have one or are interested in buying. The size of this pillow is convenient for those who travel. 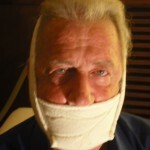 In fact, this pillow prevents the head from sinking down, which will hinder the effects of the CPAP machine. I have made this pillow cost effective vs. others on the market. I THANK YOU FOR THE OPPORTUNITY TO SHARE MY UNIQUE, SUCCESSFUL STORY WITH YOU AND LOOK FORWARD TO SATISFYING MANY OTHERS WHOM WANT TO RESOLVE THEIR SNORING AND SLEEP APNEA ISSUES LIKE MYSELF.